From Plato to Freud to ecocriticism, the book illustrates dozens of stimulating-and sometimes notoriously complex-perspectives for approaching literature and film. The book offers authoritative, clear, and easy-to-follow explanations of theories that range from established classics to the controversies of current theory. Each chapter offers a conversational, step-by-step explanation of a single theory, critic, or issue, accompanied by concrete examples for applying the concepts and engaging suggestions for related literary readings. 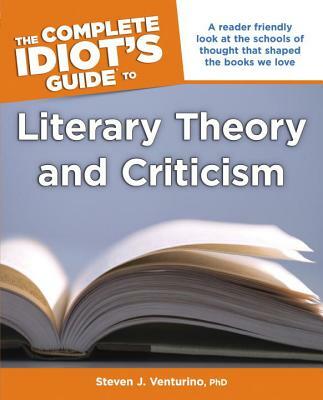 Following a section on the foundations of literary theory, the book is organized thematically, with an eye to the best way to develop a real, working understanding of the various theories. Cross-references are particularly important, since it's through the interaction of examples that readers most effectively advance from basic topics and arguments to some of the more specialized and complicated issues. Each chapter is designed to tell a complete story, yet also to reach out to other chapters for development and debate. Literary theorists are hardly unified in their views, and this book reflects the various traditions, agreements, influences, and squabbles that are a part of the field. Special features include hundreds of references to and quotations from novels, stories, plays, poems, movies, and other media. Online resources could also include video and music clips, as well as high-quality examples of visual art mentioned in the book. The book also includes periodic "running" references to selected key titles (such as Frankenstein) in order to illustrate the effect of different theories on a single work. Steven J. Venturino, PhD, is an award-winning educator and an internationally recognized literary theorist who has taught literary theory courses to both undergraduates and graduate students, in addition to teaching Victorian literature, the modern novel, and introductory courses in fiction and film. He was recognized as Outstanding Faculty Member of the Year (2012) by Loyola University Chicago's chapter of the Sigma Tau Delta National English Honor Society. Steven has published several essays for specialists, as well as general academic readers, and has edited a volume of conference proceedings, working with an international cohort of contributors, editors, and publishers.